Jessica Wilson is the SEEDS (Special Education for Evansville Diocesan Students) teacher for grades K-3. She completed her B.S. in Education, as well as minors in Special Education and Reading from the University of Evansville in 2014. This is her fourth year at Westside Catholic. Miss Wilson uses various learning styles to best meet the needs of each student. She also helps run the Minds in Motion program. 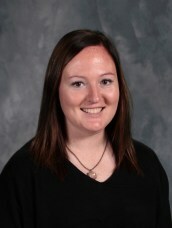 ​Miss Wilson loves being with her students and working with the wonderful faculty and staff. In her spare time, she enjoys cooking, reading, shopping and spending time with family and friends.